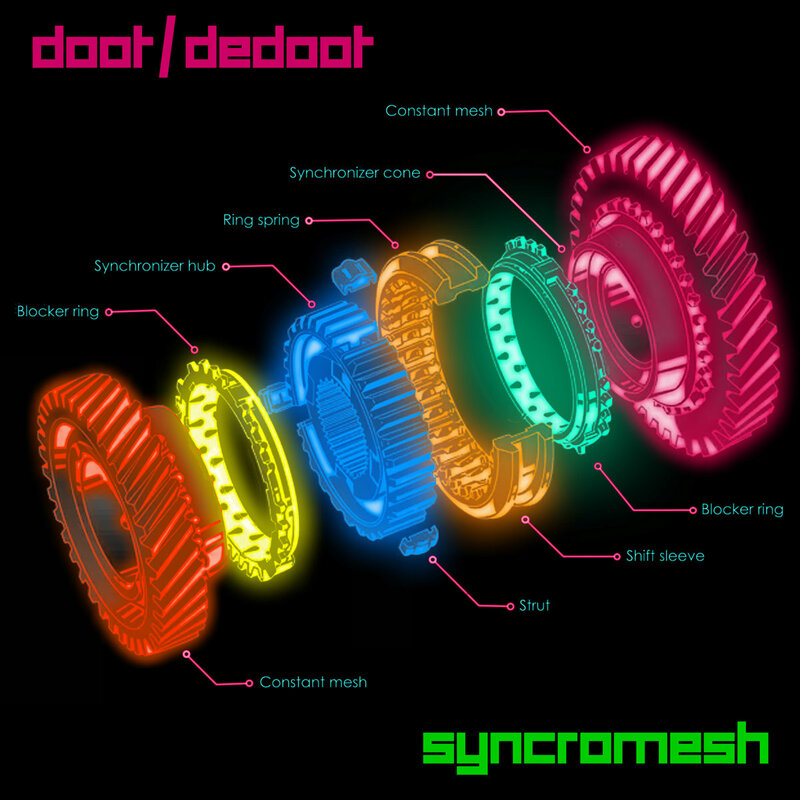 It’s an exciting time in the Saint John electronic music scene because Doot Dedoot has finally released his debut album, “Syncromesh.” It sounds awesome and if you love ’80s-style synth jams it was definitely worth the wait. Doot Dedoot is also known as Jack Lepper. He won DJ Of The Year at the last Party Sauce Awards under his vinyl-slinging persona, DJ Jack Buster. How would you describe your sound to someone who’s never heard you before? Well, I love hardware synthesizers, sequencers, and drum machines. With the doot/dedoot project, I set about getting as much out of my hardware as I could. It’s probably not surprising that using those machines lead to music that harks back to my youth as my music has a definite 80s vibe to it. Lots of lush chords, sparkly arpegiators, and slightly mechanical drums. What gear/software/techniques did you use in making this recording? Lots of different stuff. Synths on this album include classics like the Oberhiem Matrix 6 and Yamaha DX7, 90s syths like the Roland JP8000 and MicroKorg, and modern stuff like the Waldorf Blofeld and the Korg Volca Bassline & FM. Drums come from the Alesis HR-16B, Yamaha RX-5, and Akai XR-10. Finally, everything was sequenced through an Alesis MMT8 and tracked using an ancient copy of Cubase SX3. What mood or mental state do you hope to evoke in the listener with this music? “Syncromesh” became a concept album about driving. It occurred to me that nobody really writes driving songs anymore, so I set out to write songs for, and about, the car. Hopefully, I’ve captured the sorts of experiences we all have when we’re behind the wheel of our favourite automobile.